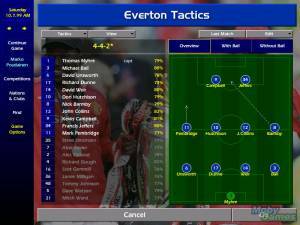 Championship Manager Online is an online multiplayer version of the long running Championship Manager series. Like in the single player versions players take on the role of a football club manager. The difference this time is that players from all around the world play in the same leagues and compete against one another. In the game players have to take care of buying and selling players (over 70,000 real life players are included in the game), training and in-game tactics. Players can also watch the individual matches being played out. Unlike many other online football management games CM Online features existing clubs and players instead of fictional content. The game features a number of game worlds, this is so that multiple players can opt to play with popular clubs. Each world features all clubs so that players can join a world in which their favourite club is still available. For each world players can view the highest ranking teams and their players. 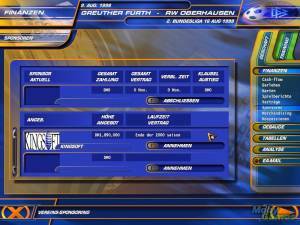 Players can also manage multiple clubs in multiple worlds. Playable are various English Leagues as well as some of the most prominent European Leagues.